Make Finding a Movie Just as much Fun as Watching it. Content is king. It seems to be resonating throughout the Entertainment universes. Fantastic! Content creators managing their content through licensing, and through their own distribution channel(s). The creation of short clips to entice viewers. Of course, navigation to view content on a revolving carousel. The entertainment industry has had successful initiatives in marketing their own content. and licensing their content for distribution and viewing to consumers. Enable a viewer to select, and rotate perspectives of the actors/actress currently in the scene. Another creative way to match up viewer with media beyond the ‘Carousel’: Design games around the content provider’s owned or licensed content. It will make for a more enriched experience, and help the viewer find their entertainment for the evening. 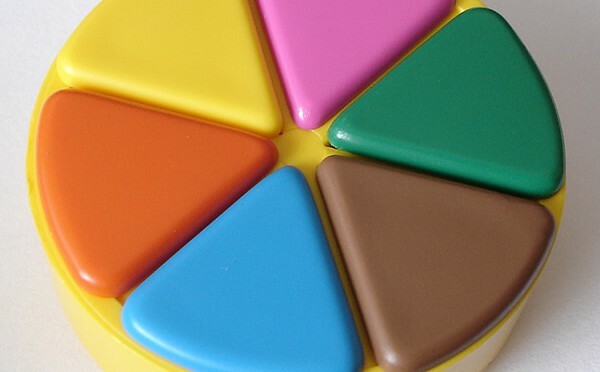 Even put together a licensing relationship with Hasbro for a spin off Trivial Pursuit. ‘Sponsored puzzles’ like on ‘Wheel of Fortune‘ may help to bring in Advertising dollars. Or a licensing deal with Screenlife, makers of Scene It?, Looks like Screenlife is a Paramount property, small world. reconstituting a ‘famous and recognizable’ image. The image is taken directly from one of the movies being streamed. Guess where the movie or TV show short clip originated. Select to stream, or play another round. In what movie or TV show did ‘this’ main theme song originate? Cable and phone companies are competing in their marketing campaigns for high speed and cost. There are many more attributes, features, they can compare and contrast between their competition to show leading edge. For example, the industry association may hire an independent user interface usability organization to show who’s system is the most user friendly, i.e. easier to use. E.g. a study by an independent body declares N has the easiest system to use, and provides the most functionality. Another measure of comparison between content distributors might be how much content is available on demand, roughly, for Free, Premium, and On Demand, Paid content. I had all the providers in my area, and found that one interface made it easier to see how much content was available for video on demand, e.g. the user interface made their content more transparent, and it appeared one provider had significantly more content than another. There are may features video content distributors can highlight in their commercial advertising with a bullet point scroll, video shot. There are significant feature advantages that may differentiate these providers, and I don’t know why a comparison chart has not been made available.